You will be aware that Flame Trust was approached to see if we could provide chaplains for 6 schools in the Invictus Trust here in the West Midlands, and I am delighted to report that these are now working really well with our support and input on a regular basis. Gerry Denston is the person who oversees the initiative on our behalf, and we have recently been approached by another network of schools to see if we could help set up some chaplaincy involvement with their network. This is an exciting development, but certainly provides us with an element of challenge in that we want to make sure that our resources are not too stretched, and that all that we do, reflects our ethos of excellence and integrity. The Invictus Trust has also asked us to consider sending some of their students to Rainbow House in Thailand in the autumn of this year, and have also asked us to consider organising another sixth form conference as last year’s event was so successful. On 1st April, a meeting was called to update all of those involved in chaplaincy work in the Invictus Trust, and we were delighted with the reports, stories and feedback, that we received from those who were in attendance. God is on the move in our schools. We were delighted to meet up with Wasan and Chariya, founders of Rainbow House – the facility that looks after abandoned and disabled children just outside of the urban sprawl of Bangkok. They flew to the UK at the end of March to visit some of their partners and supporters, together with the Managing Director of For Life, based in London, that looks after all of the European activities and dispersal of news for Rainbow House. Wasan and Chariya visited Q3 Academy and also spoke at Kingsway Church in Wombourne, where they shared the vision of their ministry and encouraged folk to pray and support. Dave preached at the conclusion of the morning worship service. Plans are in hand for expansion out in Thailand, and once the vision has been fine–tuned, Dave will visit to see first-hand what is envisaged. It has also been suggested that we organise a visit from UK supporters / sponsors and prayer partners to Rainbow House in the not too distant future, maybe incorporating a few days at the facility, with some time to reflect and appreciate the Thai culture. If you are interested in such a visit, drop a line to Jackie and register your interest. In a few weeks’ time, Calin Rezmuves returns to Romania in order to visit the home for adults with learning difficulties – the facility where many of our prayer partners provided encouragement and specific support with the provision of bedroom furniture and bedding. The bathroom facilities are in dire need of repair and refurbishment, and Calin will be making an assessment as to what needs to be done and whether we can take on the challenge. Pray for him in his ongoing interest, which happens to be in his home town where he lived in an orphanage for the first 19 years of his life. Even though those days were very tough, he now welcomes the opportunity of making life easier for those who find themselves in a Government facility. Exciting plans are developing for the probability of visiting Madeira at the end of February 2020. New lines of communication and interest have been forged with new partners, and we already have a list of people who are interested in travelling with us simply as a result of passing conversations. We will have more specific detail to hand in the middle of April, so if you are interested in coming with us to this beautiful island, watch this space. Full details will be released as they become available. There has been an unprecedented response to our Time Out 2019 publicity and we already have a large number of people who have made bookings. We suspect this is because of the success of last year’s event and the degree of provision and comfort afforded at the lovely Redcliffe Hotel. If you are planning to come, don’t be too late in getting those booking forms returned and if you don’t have one to hand, don’t forget you can download it from this website or call Jackie at the office, and she can forward one to you. Plans are in hand to re-release some of Dave’s earlier albums. Many of you have been bombarded with requests for permission to make contact with you, but we have to comply with the law of the land – not only is that Biblical, but it also protects you all from unsolicited communications. Organisations will also undergo random checks to make sure that there is compliance. 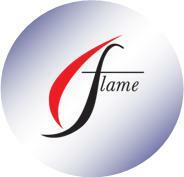 It is therefore critical and essential that if you want to receive information from Flame Trust Ltd regarding its ministry and activities, that you send us your agreement that indicates you wish to receive newsletters, updates etc. Therefore, if you haven't already completed this form, please do ensure you do so, and return it to us – either electronically or by printing it off and by popping it into the post. Sadly, there will be a limit as to how many more requests we can make for this information.